Sanuces-Ryu Jiu-jitsu is a blended stand-up self-defense system encompassing traditional Jiu-jitsu technique and adaptive hand-to-hand close quarter combat training. Emphasizing natural movement, breaking, joint locking, nerve attacks, and Judo – applied with a sequence of fluidity and efficiency. Each class begins with a rigorous workout for explosive muscle confusion-a combination of calisthenics, plyo and isometrics, weight training, core strength and cardio development, and boxing drills. This is followed by group workshops and review of technique, forms, and self-defense scenario training including multiple attackers and close range weapons. 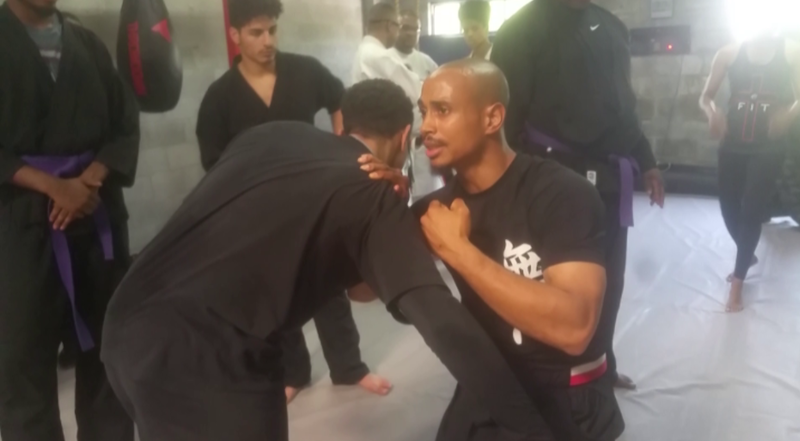 Our goal is for the individual progression of each student, the personalization of technique application from student to student is what embodies Sanuces-Ryu Jiu-jitsu. Visit mushincombat.com for more info!